"Thank you so much for all the little extras you did! You have been a great Realtor and a wonderful friend. "Thank you so much for making what was a difficult task so much easier. Know that we are most appreciative for the time you took in your search for evidence to support our appeal. Without your paperwork, we could not have gone forward. Thank god you were there to help us! Many, many thanks." "Rosa exemplifys the qualities of a successful Real Estate Agent. First and foremost, she has the patience, people skills and the business accumen to service the perspective purchaser and gain their respect and their trust. Second, she always represented South Harbour Construction with the highest level of professionalism. She was extremely organized and detail oriented." Rosa went above and beyond the call of duty in every way. "Rosa is, by far, the most conscientious real estate agent with whom I have ever dealt. 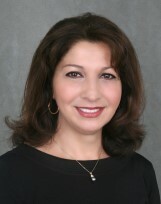 I would not hesitate to recommend her to anyone looking to conduct a real estate transaction." "Thank you so much for coming over. We appreciate your thoughts on a possible sales price when and if we decide to put our house on the market. Jack and I have thought about you over the years and are glad you are so active on the waterfront and so successful." "Thank you for a job well done. It certainly did go very smoothly. We certainly enjoyed the fact that the sale of the house went smoothly and without any lengthy delays. I appreciate the dedication to your work and the fine job you do for your clients. Thanks for everything." "Thank you for following through. And thank you for being the lovely person we have known for many years. Seeing your smile always brightened my day." "I am very appreciative that you assisted me through the loan process and were by my side throughout the purchase of my home in Toms River. When your expertise was required, you were there." "I want to thank you for your excellent assistance in our Fawn Lakes purchase. It was a pleasure working with you." 111 Morning Glory Lane in Whiting. Your courteous manner & level of professionalism goes way beyond the duties of most agents and you are a fine example to others in our industry of what exceptional service is and it was greatly appreciated by my husband and I. It is no wonder that you are as successful as you are and will continue to be so. I look forward to moving to the area, working again in our industry and look forward to our 1st future successful transaction. It is nice to know that there are such capable and courteous salespersons in Ocean County. As for feedback the house was wonderful in excellent well maintained condition, unfortunately a bit too small for us. I am sure though that it will sell in the New Year. "I apologize, this is long over due, but I wanted to drop you a note to say thank you so very much for all your help in selling our house. Given our situation, it couldn't have worked out any better than it did and I feel you had a lot to do with that. You were a pleasure to work with and I hope our paths cross again in the years to come.